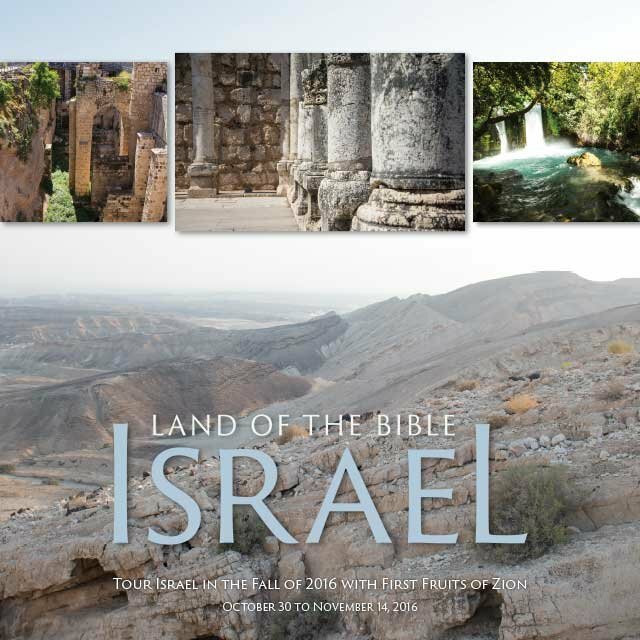 Come encounter the Bible and Israel in this unique historical-geography study tour this November (2016). My brother Steven Lancaster is a historical geographer and cartographer of the land of Israel. In other words, he makes maps of Israel and teaches about how the stories in the Bible fit onto the land of Israel. It’s a great job if you can get into the field. He works for a small ministry called Biblical Backgrounds (www.biback.com). Biblical Backgrounds specializes in biblical geography. Steve used to be a faculty member and tour leader at Jerusalem University College on Mount Zion. His wife, Mona, used to work in the office at Jerusalem University College, making all the arrangements and conducting the administrative end of the tour. Now they bring all that wealth of experience, teaching, and knowledge about the Bible and the land of the Bible to First Fruits of Zion for our historical Land of the Bible study tour. 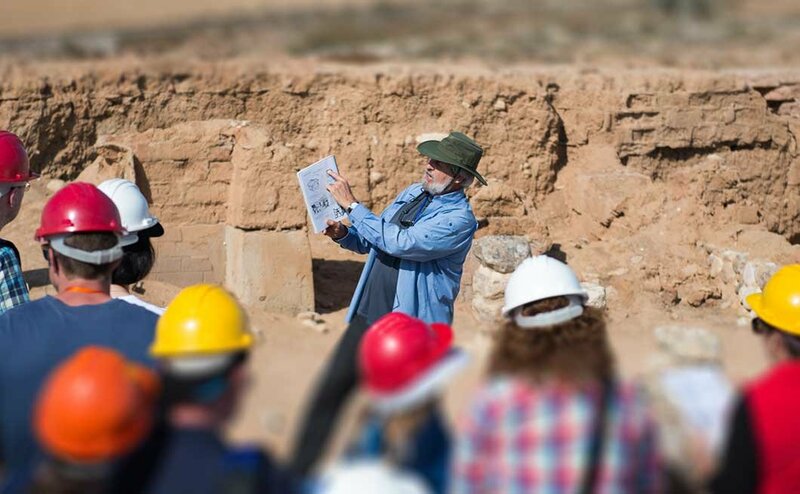 Steven Lancaster, map in hand, engaging students on one of the Israel Tours at an archaeological site in Israel. For the last decade or so, my brother Steven and I have been co-leading trips to Israel through First Fruits of Zion. His wife, Mona, has been with us on each trip to help manage the group, make arrangements, and make sure everything goes smoothly. Steve brings his unparalleled breadth of Bible scholarship and familiarity with the geography, archaeology, history, and language of the Bible. For my part, I bring a Second Temple-era perspective to the table, offering New Testament connections and Messianic Jewish teaching. There are lots of ways to experience the Holy Land, and every tour to Israel is unique in its own way, but ours belongs in a special category all by itself. 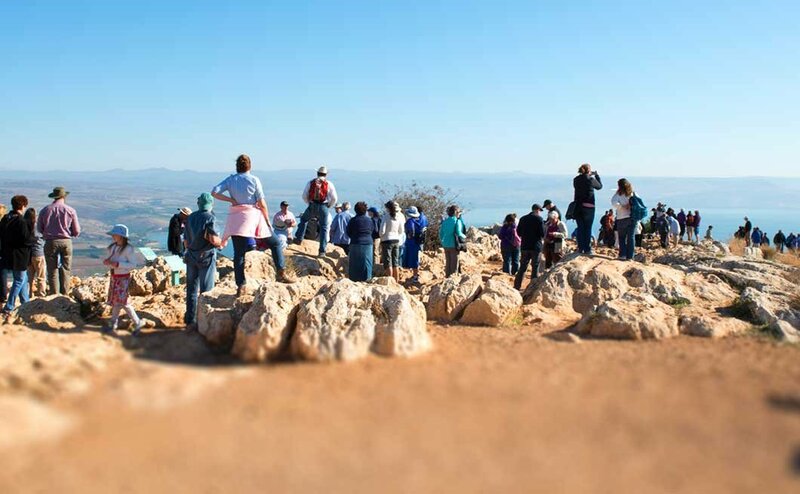 For one thing, we try not to call it “an Israel tour.” Instead, it’s a “study trip.” It’s fourteen days of intensive Bible study employing the land of Israel as the classroom. It’s a trip that will be best appreciated by people who are biblically literate and more interested in archaeology and history than shopping and spiritual goose bumps. And it’s hard to find Israel trips that promise kosher meals and Sabbaths off from touring. So it’s a unique trip for lots of reasons. With a map in one hand and the Bible in the other, we cover the land. Steve gestures to the Jezreel Valley stretched out below us and asks us, “Can you see that lone chariot speeding across the valley? ‘The driving is like the driving of Jehu the son of Nimshi, for he drives like a maniac!’” (2 King 9:20). I can’t see Jehu’s chariot, but I can certainly see the valley he traversed on his way to throw down the house of Ahab and feed Jezebel to the dogs. As we travel with my brother from the Negev in the south to the Golan Heights and Dan in the north, we are in the hands of a driver like Jehu who “drives furiously,” eager to make every moment of our trip count. 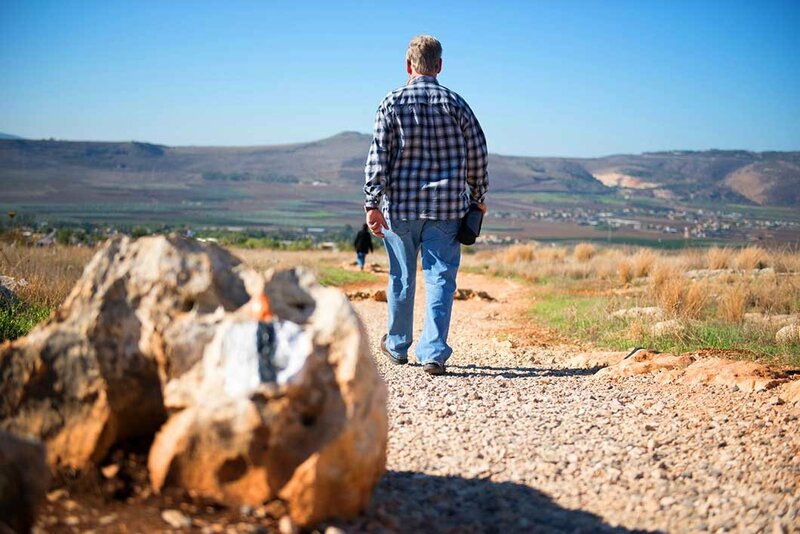 Steve has a passion for the Bible and the God of Israel, and he has a love for teaching people how the land of Israel makes the Bible come alive. D. Thomas and Steven Lancaster with Israel tour students on the Golan Heights and the Sea of Galilee in the background. A lot of students quickly realize that they don’t know the Bible as well as they thought they did, but the program motivates them to go home and study the text, learn the stories, and dig into the Scriptures like never before. On this fourteen-day trip to the land of the Bible, Steve works hard to fix the land firmly in our minds so that, in the future, when we read the Bible, we can visualize where the story is happening. And it’s not just narrative. Understanding the land of the Bible means understanding the agriculture, the industry, and the institutions of ancient Israel. The historical geography approach teaches us how to better understand the imagery of the prophets and psalms as they draw on those backgrounds. You just never read the Bible the same again. Currently, we still have space on the fall 2016 trip. You can read all about the tour and download a brochure here. I really hope you can join us this fall as we put the Bible on the land from Dan to Beersheba. You are invited to visit the geographic center of the spiritual world: The holy land of Israel. 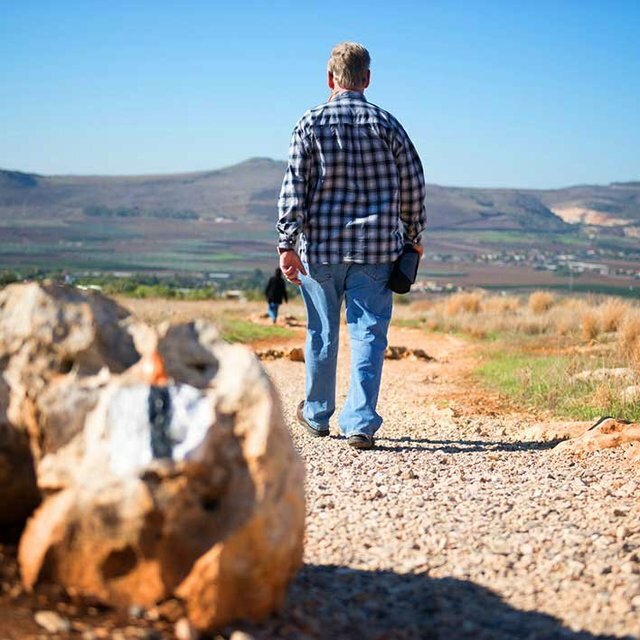 Join the Messianic Jewish ministry of First Fruits of Zion for fourteen days exploring the land of the Bible.